Nine K-pop trainees set to appear as part of JYP Entertainment’s newest boyband project “Stray Kids” were unveiled Monday in a teaser image. The agency revealed a group shot of the idol wannabes on its official social media pages at noon, along with the logo for the show. Last week, JYP revealed the music video for the group’s song “Hellavator” which will be unveiled through the show. 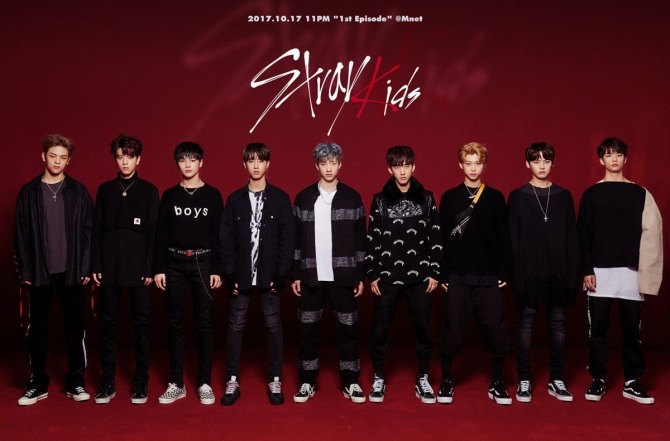 “Stray Kids,” the agency’s first K-pop band project since “Sixteen” in 2015, is a survival audition program in which the goal of the nine participants is to debut together as a team. The first episode of “Stray Kids” will air Oct. 17 on Mnet.